Many are outraged at President Trump's continued character attacks on the late Sen. John McCain, who served in Congress until his death last August. Trump has particularly been aggrieved by McCain's change of heart on the repeal and replace of Obamacare. The president and his associates say the senator told them he'd be voting in favor of it, but when he got to the Senate floor, it was a thumbs down. Trump called the vote "disgraceful," adding that he never has been and he "never will be" a fan of John McCain. The president is getting pushback for picking on the deceased senator, and not just from his usual media adversaries or progressive critics. Plenty of lawmakers, including some high profile Republicans like Rep. Dan Crenshaw (R-TX), have directly told the president to cut it out. But, he is not without some defenders willing to speak up on his behalf. On Thursday Fox News host Lou Dobbs sparred with guest Michael Goodwin, a New York Post columnist, about Trump's feud with McCain. Goodwin said he prefers "the old custom" that we "do not speak ill of the dead." 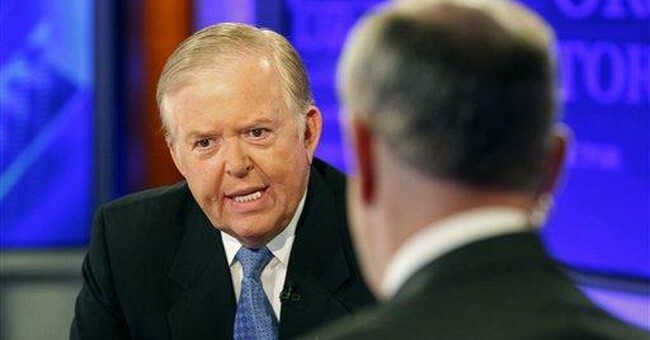 But, Dobbs explained why McCain is fair game. "It is not an exhumation of his body for God sake!" Dobbs said. "It is a review of his record as a politician. Not as a war hero 35 years ago, 40 years ago. It is an honest assessment of who he was and what he did. And what he did is as clear as a bell."